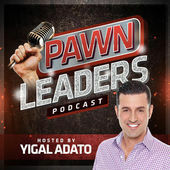 Co-Owner Josh of GCPAWN was honored to be interviewed on the 4th ever Podcast of a new group called Pawn Leaders. This is a show for pawnbrokers, hosted by Yigal Adato. The Podcast focuses on Utilizing Technology to Drive Your Pawn Store.